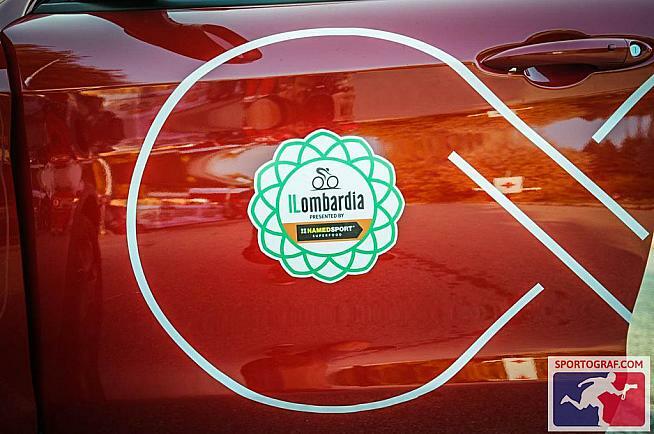 I remember reading a post-ride report of the Gran Fondo Il Lombardia sportive last year and thinking it was enough to convince me to never take part - the reflection of pain and suffering looked far too much. Fast forward to this year, it's some ungodly hour and the alarm is going off. I go through the familiar rigmarole of desperately trying to get some breakfast down me hours before sunrise, packing the bike in the car with a headtorch and contemplating which songs are going to be most motivating for the journey. 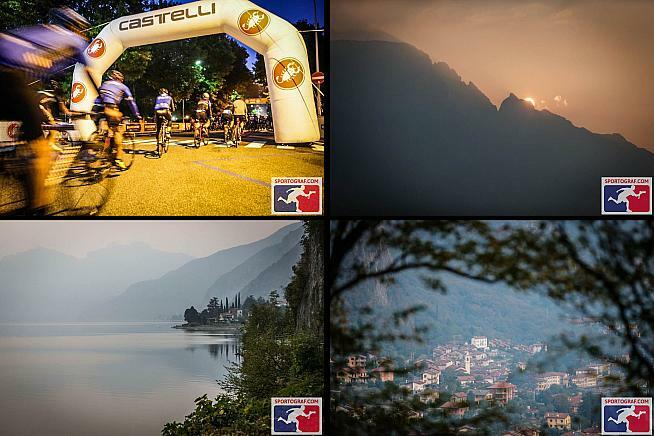 The Gran Fondo Il Lombardia is the last of the season's Classics with a testing course in the vicinity of Lake Como. Living in North Italy, this is a nice local race for me so I drive down to Como, find a nearby car park to abandon the car and cycle over to the start line. This short ride is a little over 4km, and although the sun has yet to rise I make the conscious decision not to strap lights onto my bike as I know that even the smallest amount of extra weight on the Giro's infamous climb, Muro di Sormano ("The Wall"), will only add to the already guaranteed levels of pain! As I near the edge of Lake Como, I notice that everyone else clearly had the same idea. We all ride along in near pitch black praying for no unwelcome potholes (pretty commonplace in Italy!). Having lived here for over a year now, I've become very accustomed to never being more than 25 metres away from a delicious shot of Italian espresso. As I arrived, I rode around looking for a race steward to direct me to the coffee. No such luck. My question was met with dismissal and a snigger. Oh dear, this was going to be a hard day! My coffee hunt now meant that I was sat at the back of the starting grid, but at least the sun was starting to come up. Sunrise in Como as riders prepare for the start. Once out of Como, the rolling terrain started almost immediately so the group split up quickly. The pace is steady as everyone is anticipating the 40km marker where the climbing really starts. I find a few familiar faces and enjoy a leisurely first section of the race, but before long I notice the roads start becoming littered with empty gel wrappers. I glance down at my Garmin and see the climbing is about to start. At the top of the first climb is the iconic Madonna Del Ghisallo - a small chapel which has become a shrine to cycling legends. As we approach the top, many riders stop here at the feed station to grab some refreshments and take pictures of this legendary landmark. I don my windbreaker and head down Magreglio. The descent is wide with open roads and good visibility so I enjoy the freewheeling knowing that "The Wall" is fast approaching. Dalany taking a moment to enjoy the scenery. The dreaded "Climb starts" sign comes into sight and I let out a whimper. 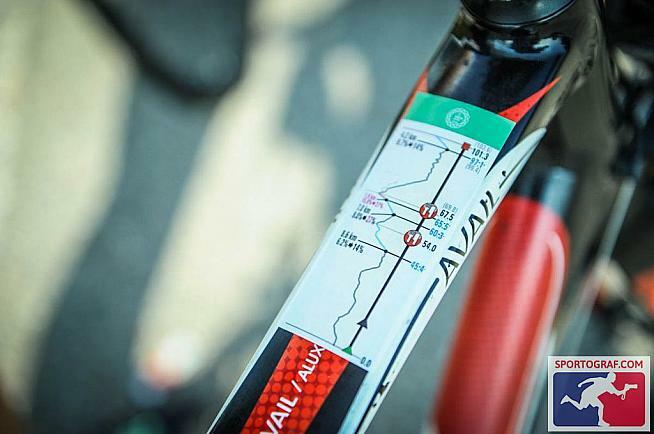 There are two route options for the Gran Fondo: one including Muro di Sormano, and one eliminating it. I reluctantly shoot down the narrow path veering to the left with as much speed as possible on a narrow lane to try and get some momentum up for the start, but within a few seconds my speed had dropped to "just enough to keep me upright". I'm up out of the saddle and using my weight to push down on every pedal stroke. The lane remains narrow and all around me riders are weaving in and out, unclipping in front of me, walking...and every similar obstacle you can think of. I was determined to make it up. 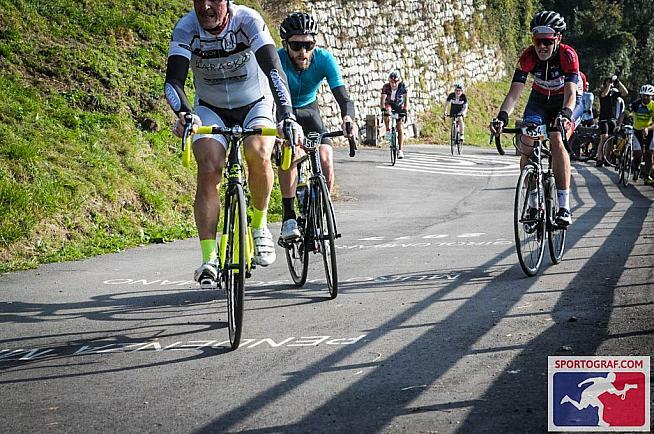 I had watched the pro race from the roadside the previous year, and as we passed the spot where we had sat sipping beer and eating sandwiches (a distant memory at this point), I thought to myself"'surely we sat at the steepest part of the climb to watch the pros really suffer?" This gave me some confidence that I was well on my way to getting up this brutal 27% beast. With this quiet confidence in the back of my mind, I decided to up my pace a bit figuring the worst was over, when at that moment the rider three in front of me lost control of his front wheel, came off, as did the two people behind him, and then as did I. We went down like a slow motion pack of cards and everyone lay there swearing in utter frustration as we knew that was our Sormano attempt over. We untangled our bikes and started the long walk up the remainder of the climb. Turns out my logic was not correct and the steepest part was still to come. I can count the amount of times I've had cramp in my life on one hand - today was one of them. As my calves tightened, I decided to attempt to get back on the bike. In the easiest gear I jumped on, span the pedals and third time lucky managed to clip in (whilst almost falling off the other edge of the road). I rode for another 10 metres and then realised it was over! I cheered the other riders on as they crawled past me with some quite remarkable pain faces. The remainder of the ride follows along the edge of Lake Como so I managed to take in some sights whilst enjoying a bit of flat for a while. Coming back down into Como, we're faced with long traffic jams and weaving in and out of cars which remain at a standstill as we begin the final climb of the day, Civiglio. At 4.2km and 9.7% average, Civiglio was a climb that had me cursing the organisers. As I understand it, the reason for sending us up Civiglio is to ease the car/bike traffic situation down in Como which does make sense - but at that point in the day, I would have quite happily tucked in behind a slow-moving car to tow me into the finish line! I ignored the devil on my shoulder telling me to get off the bike and walk, and the aching in my entire upper body from yanking on the handlebar, and finally made it to the top and crossed the finish line. Shaking and feeling sick to my stomach I made a beeline for the glass of Coca Cola I spotted glimmering in the distance, necked it and lay on the grass watching the other riders come in. That's another bucket list ride to tick off the list - but Sormano, you and I have unfinished business, and I will be back! 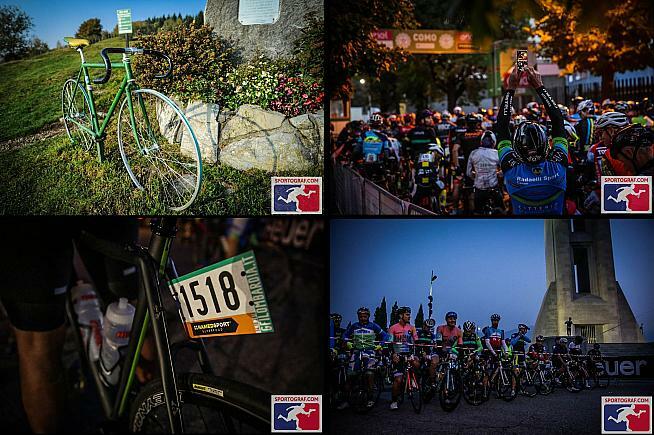 I was fortunate enough to be able to drive to the start line on the morning of the race, but if you're living elsewhere in the world and looking for a hassle free pre-organised trip, check out All Things Ride who kindly arranged my entry to the gran fondo. 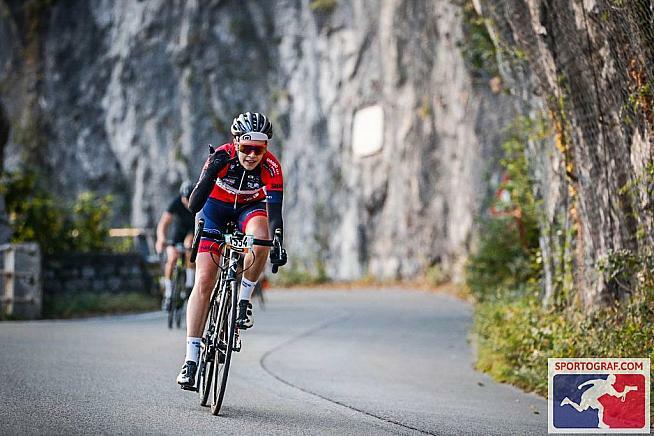 Based in the UK, All Things Ride are a travel company specialising in cycling trips, ranging from entry to Europe's biggest sportives to tailor-made cycling holidays. Find out more at allthingsride.com.